Home / News / Rashmika becomes producers favorite! 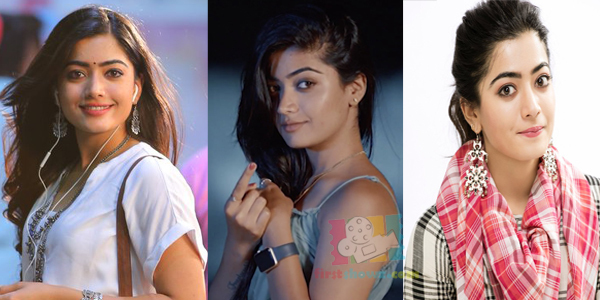 Current sensation Rashmika Mandanna, who is scoring back-to-back blockbusters in Tollywood including Chalo, Geetha Govindam, Devadas is becoming producers favorite as well. Top Tollywood producers are queuing up for the call-sheets of the actress for not just for her acting prowess but also pleasing remuneration. Despite back to back hits, Rashmika has not hiked her remuneration and is quoting reasonable amount for future projects. The actress also promoting her movies on a large scale. Rashmika is also charging close to 5 lakhs for store launches and events, while her contemporaries are going for hefty prices of 10 lakhs for the same. Her pleasing remuneration is sure working in favor of the actress, and has become hot favorite for producers and event managers. Rashmika will soon be seen opposite Nithin in director Venky Kudumula’s ‘Bhishma’. Stick to this space for Rashmika's forthcoming projects.